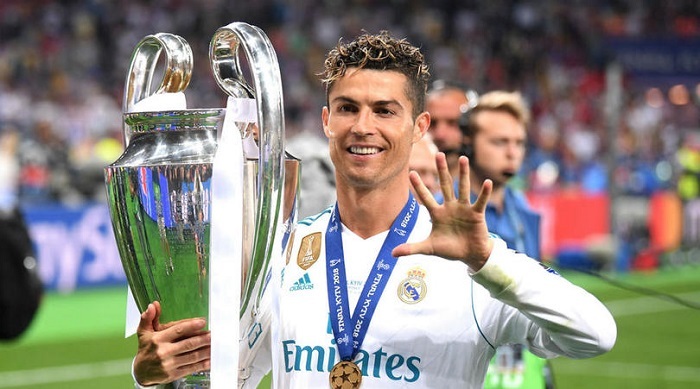 Cristiano Ronaldo’s departure from Real Madrid has left a void yet to be filled and Ludovic Giuly feels Eden Hazard or Kylian Mbappe might fit the bill. Madrid ended a slump of five games without a win in all competitions by beating Viktoria Plzen 2-1 in the Champions League on Tuesday, but they head into Sunday’s Clasico against LaLiga leaders Barcelona languishing in seventh. ‘Real Madrid are struggling a bit. [Ronaldo] is a very good addition for Juve because he’s a great player, a great professional,’ the ex-Monaco favourite told Omnisport while speaking as part of the Nissan Champions League trophy tour in Paris. ‘You lose your coach [Zinedine Zidane] who won three Champions Leagues in a row. You lose your best and most important player. There are cycles in life. It is sometimes difficult to replace. Barca lead the way in LaLiga despite winning only five of their opening nine fixtures and three points cover the top six in an unpredictable opening, with Espanyol and Deportivo Alaves their nearest challengers. Atletico Madrid lie fifth and were thumped 4-0 by Borussia Dortmund in the Champions League on Wednesday, and Giuly, who represented France between 2000 and 2005, believes post-World Cup fatigue might be having a lingering impact for Spain’s big hitters. ‘The players play 60 matches a year and have the pressure of the World Cup. If you go until the final, you play eight more games, with pressure, with 35 to 40 days with the same team,” he explained. ‘You have three weeks of holidays. They’re not robots. They need holidays. I think it would be better if the winners of the World Cup had a month off. ‘Maybe they won’t be good to start the season. But when they come back, they will be very motivated. Because after a while, you get tired of playing football,’ he concluded.